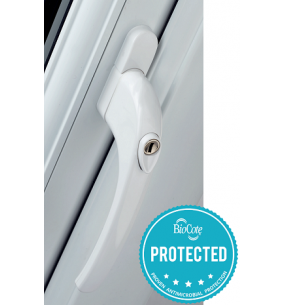 The Grip™ BioCote Antimicrobial Espagnolette Window Handle is effective against bacteria, mould and fungi - Hygiene from within. 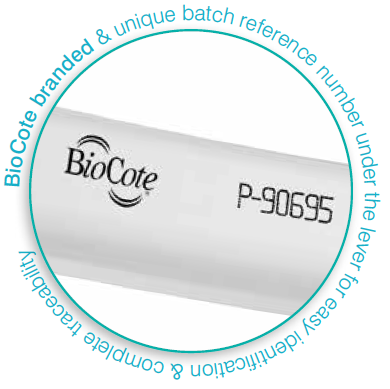 In an industry exclusive, Mila has partnered with, pioneer and global provider of antimicrobial solutions, BioCote, in this latest product innovation. 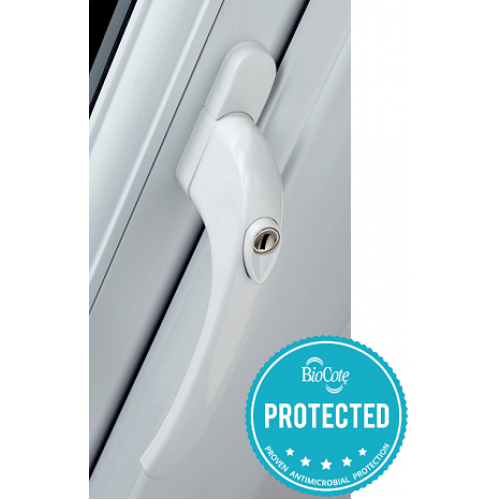 The Grip™ CleanTouch espagnolette window handle has been developed by Mila’s in-house product design team and has a European patent. Grip™ is manufactured from a high-strength ABS material permeated with antimicrobial technology, rather than a laquer, to provide continuous built-in protection for the lifetime of the product. 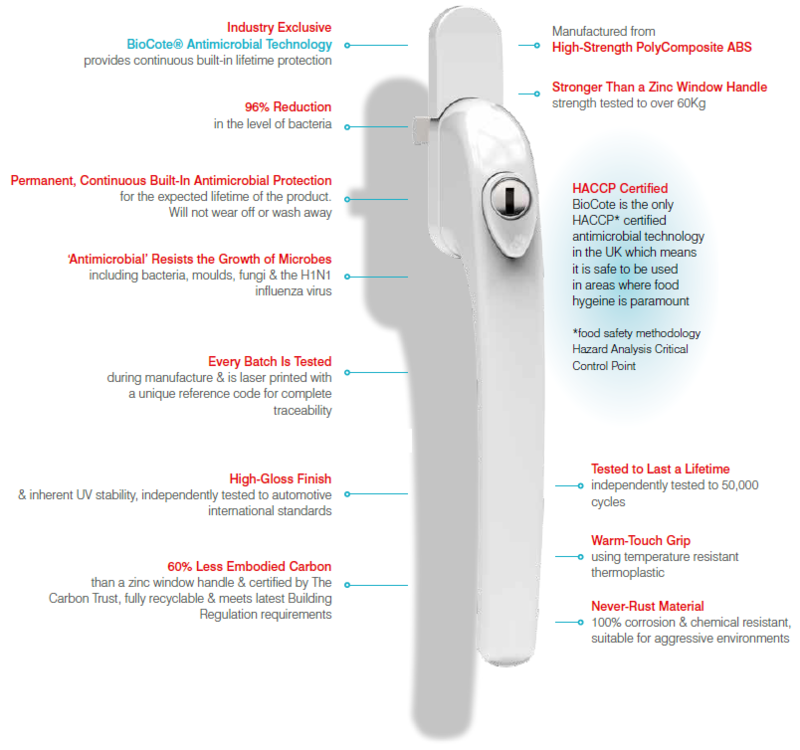 This intelligent antimicrobial technology resists the growth and spread of microbes such as the H1N1 influenza virus. The H1N1 influenza virus caused a 2009 pandemic. The world is now in the post-pandemic period. Based on knowledge about past pandemics, the H1N1 (2009) virus is expected to continue to circulate, causing variable levels of disease and outbreaks, for some years to come. WHO advises that there is still public health value in using monovalent H1N1 vaccine to immunize persons at risk of severe disease from H1N1 influenza infection as well as other measures to combat the international spread of outbreaks.